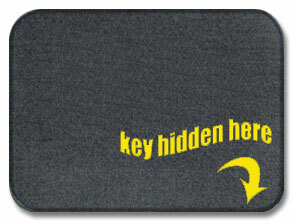 Leaving car keys under floor mats, house keys under flowerpots, and money under mattresses is old fashioned, and very common knowledge for crooks. Safe communities, like Franklin, are attractive to criminals because residents may feel safe enough to let their guard down; don’t. At 4am yesterday morning, officers were summoned to the 400 block of Franklin Road following a citizen report of a vehicle that had crashed into a yard. Arriving officers found an abandoned BMW that had crashed hard enough to activate the airbag. After finding no one in or around the crashed vehicle, officers visited its owner’s home in the 400 block of Maple Grove Drive, nearly four miles away. Officers found the owners of the car, and everyone else who lives with them, asleep at home. The vehicle was stolen from the driveway of that home in the Maplewood Subdivision with little effort by the suspect – the car doors were left unlocked, and the keys left under the floor mat by the owner. Later the same morning, officers were summoned to a second Franklin Road home where a vehicle was stolen from the driveway. The vehicle was unlocked at the time it was stolen, and the keys were left inside by the owner. Officers recovered that Volvo after the suspect abandoned it on Mack Hatcher near Spencer Creek. The suspect remains unknown, and at-large. 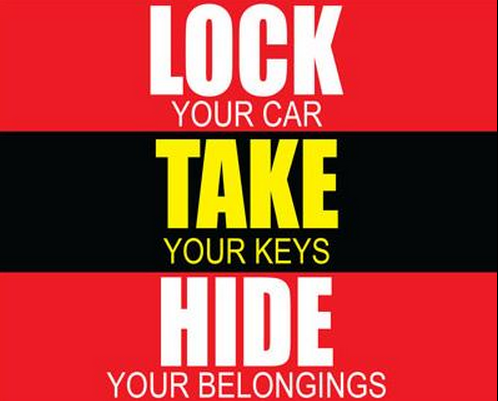 Keeping Franklin safe is a partnership between the police and our community – we need your help: Lock car doors and remove valuables from your parked car; report suspicious people and behavior to police: (615) 794-2513.